A D-shaped lumbar support designed by Robin McKenzie, this roll rests flat against chair backs. For the self-treatment of low back pain, place the support against the back of your favorite chair or auto seat. Resting against the D-shaped pillow improves posture and helps to correct mechanical back pain. Each roll features a removable, moisture-wicking polyester mock-mesh cover. 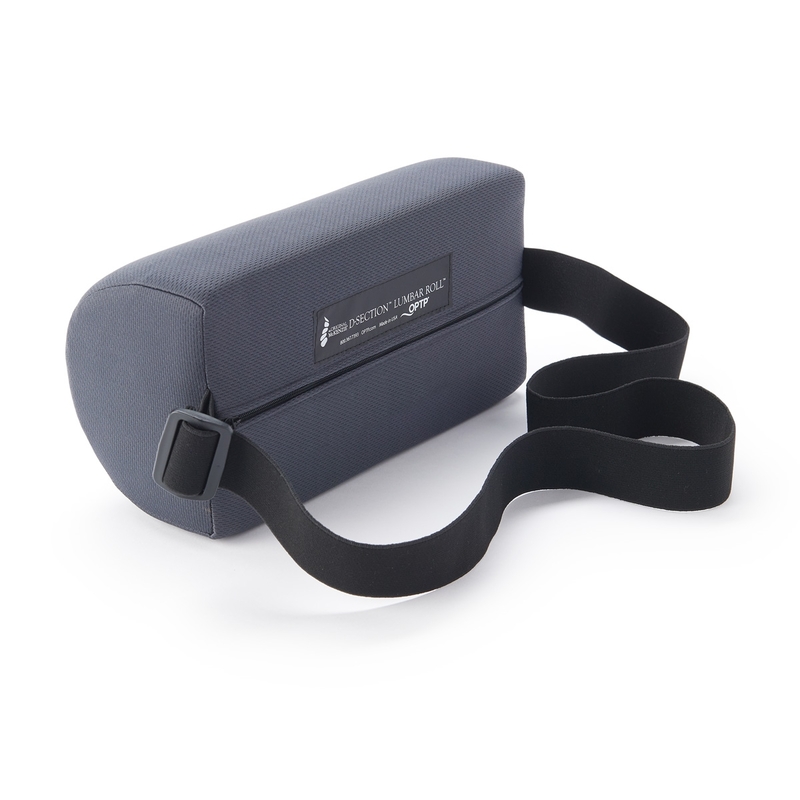 With the same density as The Original McKenzie® Lumbar Roll, this support measures approximately 11"L x 4¼"D x 5½"H. Features a built-in adjustable strap; contains latex. Made in the USA. Helps maintain good spinal posture. Have provided KcKenzie lumbar rolls to patients for years. Prefer the "D" roll or the original roll for most people, but I do use the larger round roll for heavier clients. Last patient related that it has really been helping reduce his back symptoms after driving all day. The D Section Lumbar Roll is comfortably firm. I bough both the regular and this one, and like the D section better because it seems to give more support. I do a lot of sitting for commuting to school and then once I&apos;m in school I am sitting even more. The lumbar roll helps me sit properly upright. It&apos;s helped alleviate the cramping and stagnant feeling I get in my back and pelvic area from when I am sitting for too long. Highly recommended product for our modern life!